The Tiffen 4.5" Round 85 Color Conversion Filter helps to decrease the color temperature from 5500 to 3400K, allowing the use of tungsten-balanced film in daylight conditions. The warming effect of this filter requires a 0.6-stop increase in exposure for normal results. This filter is constructed from Water White glass and is made using ColorCore technology, a process that involves laminating the filter substrate between 2 pieces of optical glass and grinding flat to a tolerance of 1/10,000th of an inch. Color conversion filter decreases color temperature and provides a warming effect. 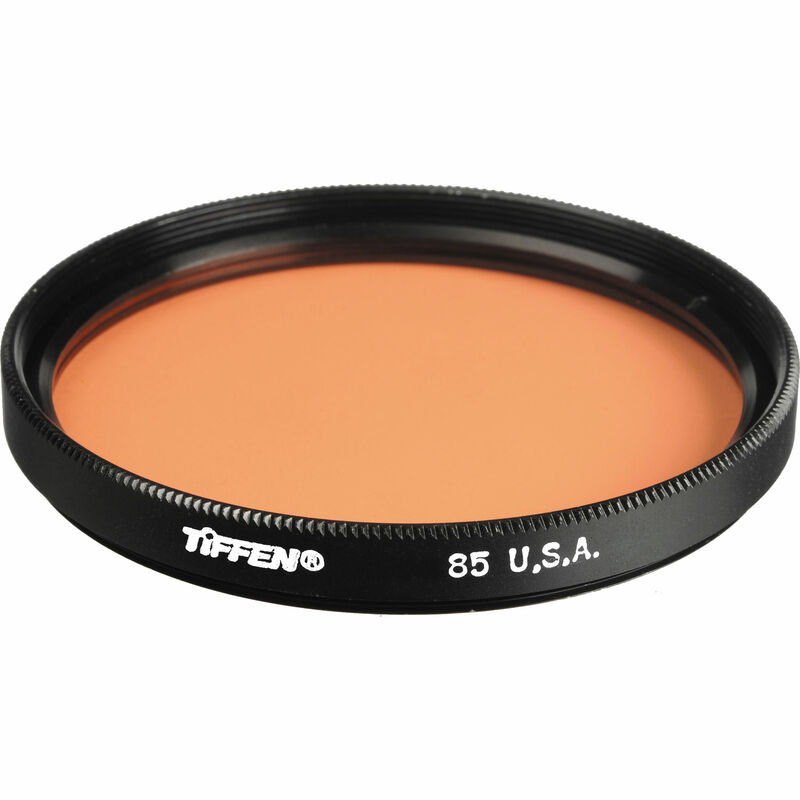 Converts 5500 to 3400K for using tungsten-balanced film in daylight conditions. Filter factor of 1.6 requires a 0.6-stop increase in exposure.